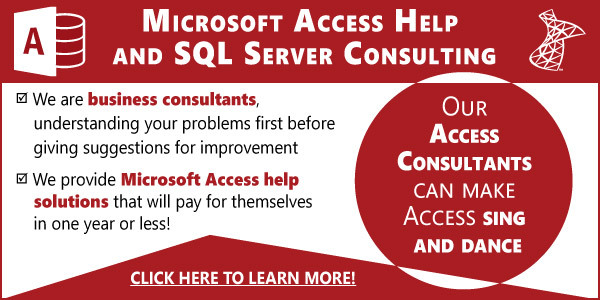 Access 2013 is here, but where's the SQL Server upsizing wizard? Office 2013 has gone on sale and already I’ve seen posts online from people asking about the SQL Server Upsizing wizard not found in the tool. The wizard was a causality in Access 2013 and frankly I say good riddance. I for one thought it was barely usable when it worked, since more often than not we were using a version of SQL Server that the wizard could not understand. Is upsizing your Access database more than you can handle? Let the pros do it for you! Call us at 773-809-5456 for a quote on upsizing your database today. While SSMA works, it leaves the databases littered with junk: false constraints, extended properties on tables/fields. These will prevent migrating a SSMA Access>SQL database from SQL to Azure. Is there a way to use SSMA without creating these items when migrating to a local SQL-server? Thanks for a great blog! I’ve recently started developing in Access 2013 (did work many years ago on older versions). I have the SSMA that came with SQL 2012 Express. There doesn’t appear to be an option for importing the .accdb file type, only the .jet. Is there some trick to making that option appear? Nevermind. I figured it out. Kind of a bonehead mistake. I loaded the SSMA but then realized I was using the Import and Export Tool. When I actually started using the SSMA, it worked. I did have to load the Access 2013 runtime before it worked. There’s some great info out here and I appreciate what you are doing.